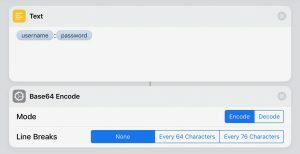 Important note: At the moment, this whole technique works with FileMaker 17 Server on Windows. It’s not working with FileMaker Cloud nor with FileMaker 17 Server on macOS. Stay tuned for updates, once we identify a reliable solution for these issues! A shortcut is a set of tasks, built in multiple steps, managed through the Shortcuts app on iOS. The building block of a shortcut is called an “action”. Each action is a single step in a task, and each shortcut consists of one or more actions. 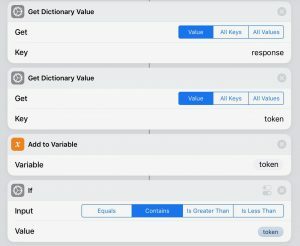 Documentation for the Shortcuts app (What’s a shortcut?) gives an example of building a “Surf Time” shortcut: grabbing the surf report, giving an ETA to the beach and then launching your surf music playlist. Shortcuts? "Hey, I’m a FileMaker developer!" No problem! Think of a shortcut as similar to a FileMaker script. And an action would be like a single script step. 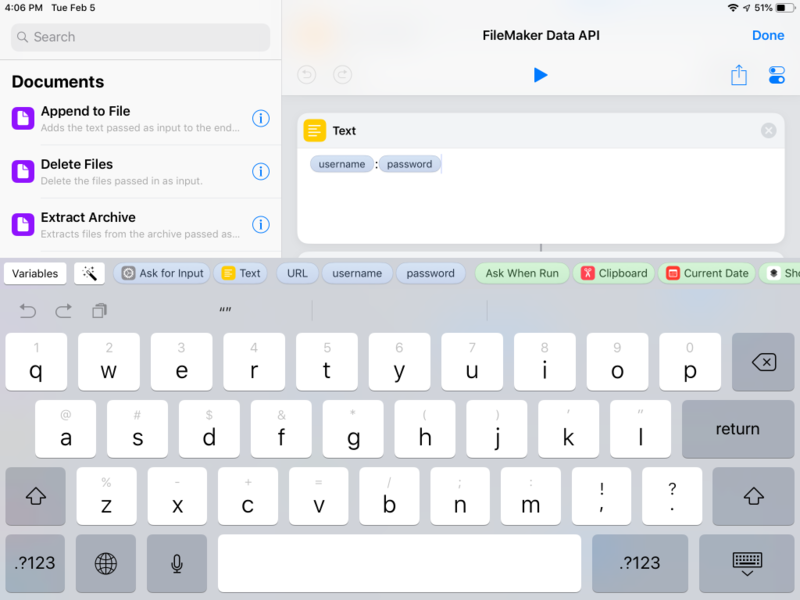 So, how can we use this fantastic app with FileMaker? Easy! 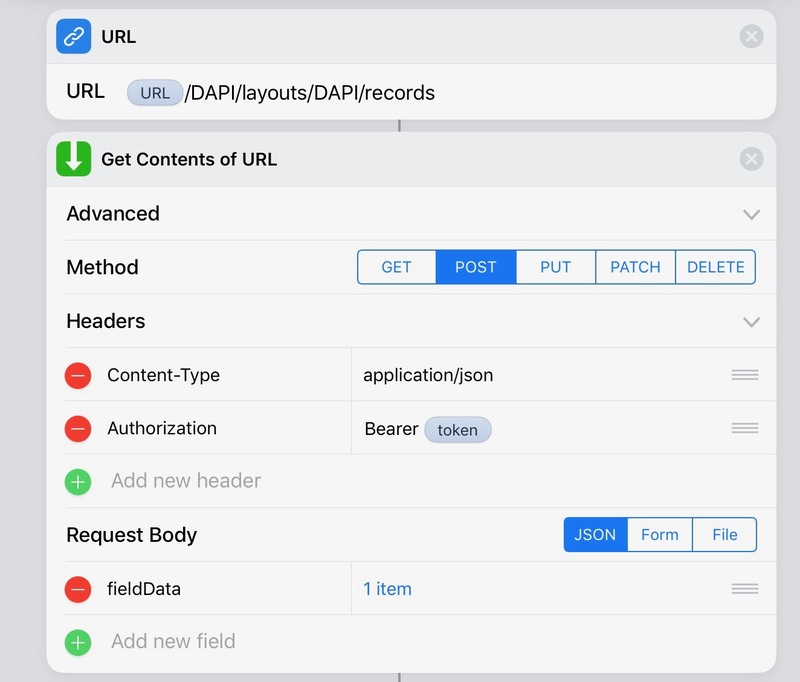 Using the FileMaker Data API, you can integrate a shortcut with the FileMaker Platform to do things like create, edit and delete records. And not only that: you can also build a shortcut to upload a file or an image to a container field. Or imagine using Siri to ask questions and get all kind of answers from your FileMaker solutions…yes, shortcuts controlled with your voice! 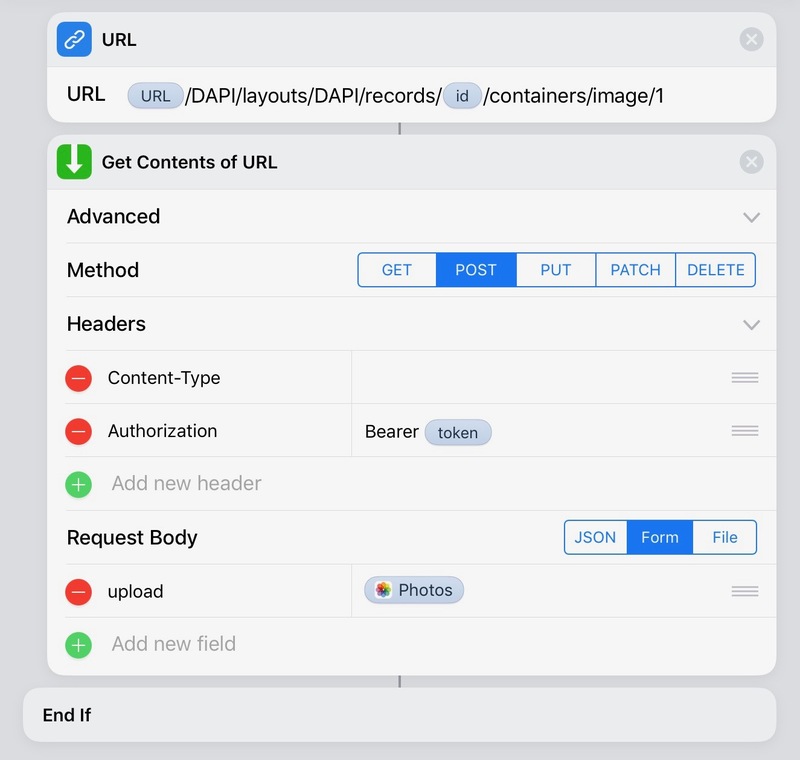 In this simple example, I will create a shortcut that, after connecting via the Data API to my FileMaker server, will take an image from the Photos application on my iPhone and upload it into a container field. Once installed and opened, just click on “Create Shortcut” to create a new document. Select the actions you want to use from the guided search and add them to the document. Each action is performed progressively from the beginning to the end of the document. 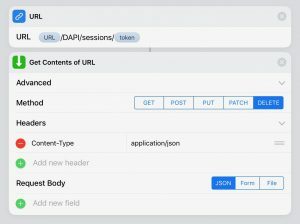 Set a variable from a text block with the URL value of our server where the FileMaker Data API is active. Note: Remember to use an SSL certificate on your FileMaker Server! Ask the user to enter the credentials and save them in a variable. Repeat the steps also for the password request. Concatenate username and password separating them with a “:” and then perform an encode in base64, to manage the Basic Authentication provided by the Data API. 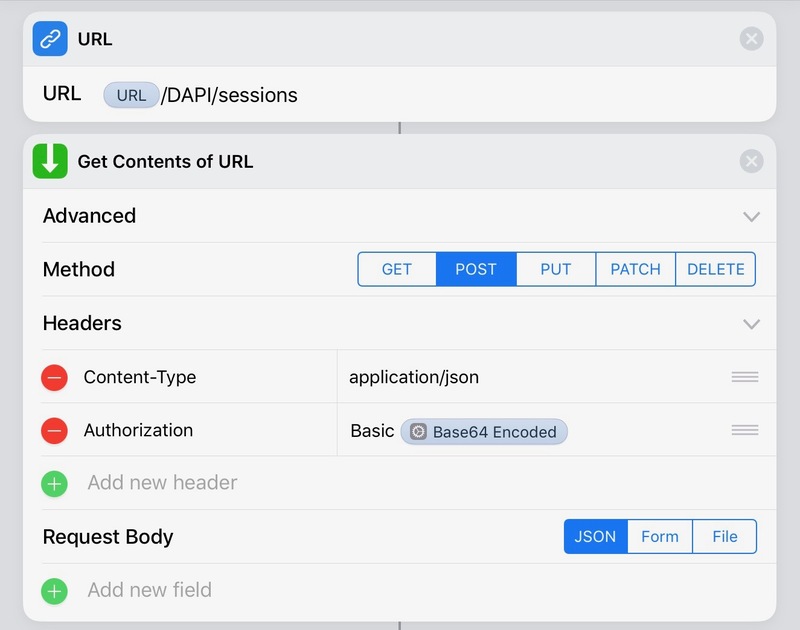 Set the URL to log in via Data API (URL/fileName/sessions). 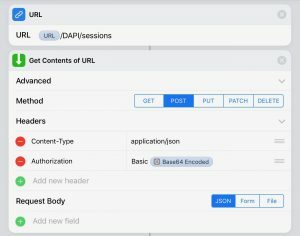 Make an HTTP POST call to receive the token and authenticate the user. Get the response from the endpoint, parse the received object and save the token to a variable. Note: I’m using the If statement to check if the token variable exists. 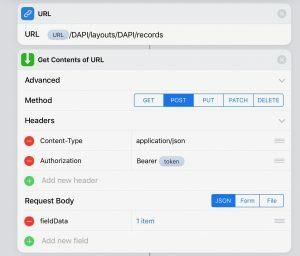 Make a http POST call to receive the ID of the new record created. 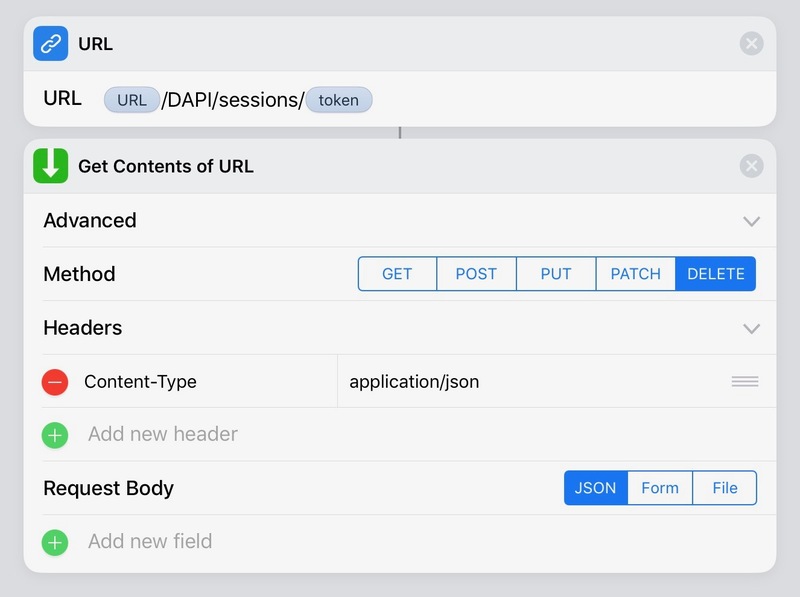 In the request body add a new field and name it: fieldData and as value compile the JSON object (dictionary) with the information of the fields that you want to enhance when creating the record. In our case we are passing the following item: data = “Test from shortcuts”. Get the response from the endpoint, parse the received object and save the value of the ID record created in a variable. Open the camera roll (Photos, on iOS) to select the image to be loaded into the container field. Make an http DELETE call to delete the session on the FileMaker server for the logged in user. 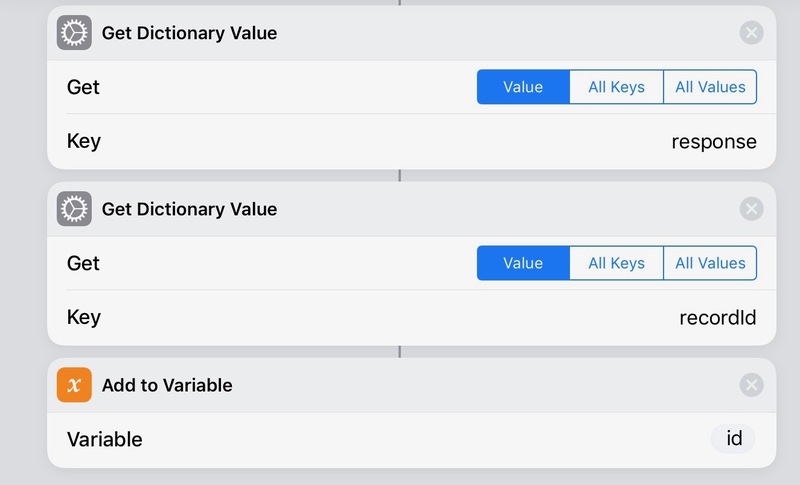 In the steps of our actions, you can enter manual values or recall them from the variables created…Or, in some cases, you can use the “Magic Variable” selector to get help from the application in using a variable in the next step. 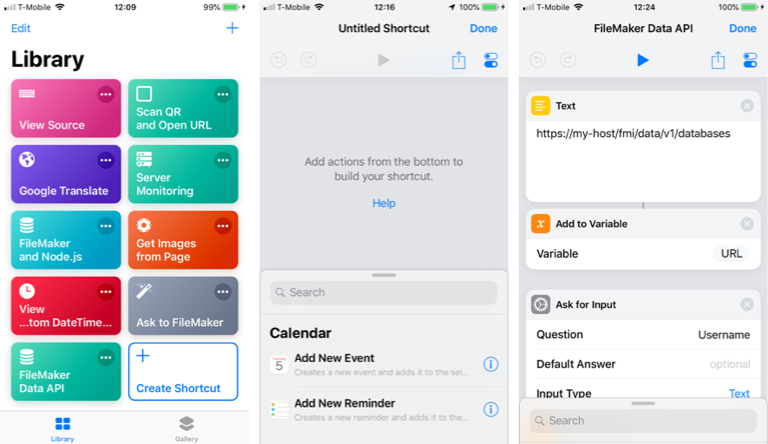 Shortcuts, on iOS, are very interesting and may open up a lot of new opportunities for FileMaker interactions with third party applications, content and web APIs. I built an example of automatically uploading a photo from your iPhone into a FileMaker container field, via iOS shortcuts to the FileMaker Data API. 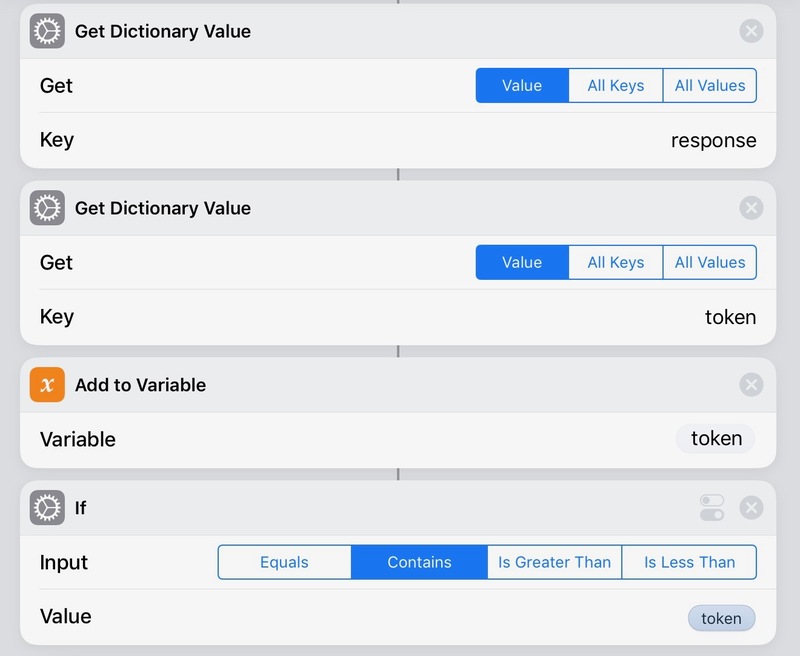 Hopefully, you’ll test it out, and also try building shortcuts that work with other iOS apps, or perform tasks that interact with other functionality in FileMaker. And, please stay tuned! 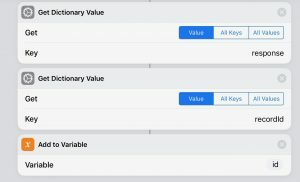 In a followup blog post, we’ll be asking different questions to Siri to show how it can interact with FileMaker to provide you with answers. Not sure how to use the example files. Please explain. Also a little confused on how to put the “Add to Variable” action into the Shortcuts library. Thanks for the article. Follow the steps from 1 to 10. Note: on step 6, you should specify Dictionary as a value of the field fieldData. If you need more help contact us.